September’s number one read article/post on Tea Party Girl was Six Possible Party Themes for Your Autumn Event. This post won by a landslide! But the post didn’t specifically tell you how to plan an Autumn Tea Party. This one will. It’s been uploaded to my articles page and reprinted here as I dash off to the afternoon’s activities. 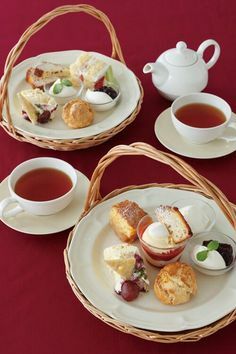 Please let us know in the comments if you are hosting any autumn tea party events. We’d love to cheer you on! a Costume-Planning Party (thank you Sarah Ban Breathnach…I love your book! If you own it, be sure to check out her Autumn-themed party for Martinmas…so inspiring!). What a great idea for you crafty/seamstress types! Why not plan an afternoon to gab over tea and your handiwork in time to prepare your children’s costumes? All Soul’s Day–November 2nd. A great theme for a tea party. Really. Have you lost someone dear to your family? Why not set aside time to share memories over tea with your children and tell them stories about your loved one. Has a friend lost a loved one in the past year, maybe even in a season of grief? What if you planned a tea and invited a small group of some of her friends that may have struggled to help through this time. Allow her to share freely and “weep with those who weep”. salad garnished with pomegranate seeds. pumpkin-based desserts like this pumpkin roll cake. hollowed-out pumpkins as vases filled with chrysanthemums as they are prolific in fall. large-pillar candle surrounded by mini-pumpkins and unusual gourds. beautiful bowl filled with fall fruits like pomegranates, apples, pears, or a combination of all. colored leaves from your neighborhood with unscented and protected tea-lights. Once these decisions are made, you will see your theme come together with all the elements that help us celebrate autumn’s beauty. 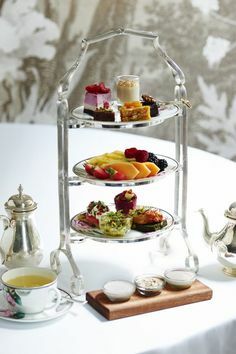 Be sure to spend some more time perusing Tea Party Girl’s archives for further details you might need to plan your tea party event. As always, feel free to email me or leave a comment with your questions. I think you’re inspiring me to host an All-Souls Day tea in honor of my grandmothers. I’ve been writing about them a lot lately, putting my memories to paper. What a lovely blog! I found you through Summer’s blog carnival. I have had a secret wish for years–to own a tea house. You’ve got some wonderful ideas and tips here. I enjoy your blog very much, and I love the ideas you shared for Autumn. I am hoping that you will present some Christmas decorating ideas VERY soon. I am planning a Christmas Tea Party and Cookie Exchange that is to be held the first Sunday in December. I plan to invite 30 ladies. 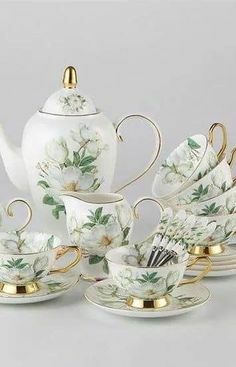 Since I don’t have enough tea cups for a crowd that size, I decided to ask each lady to bring their own tea cup and saucer, and a prize will be given for the prettiest tea cup, and for the most unusual. I am planning a Christmas Tea party on December 1st. 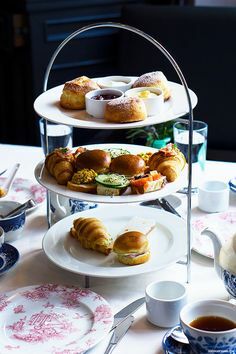 Do you have any tips or ideas for hosting a Christmas themed tea–food, games, etc.? I’m inviting the ladies from my Sunday school class at church so that we can all get to know each other better in a more homey atmosphere. Look in my Best of Tea Party Girl. Today I added a post about Christmas-themed teas.